British colonists arrived in this part of Australia in 1836. They brought with them a tradition of building a place of worship in every district or 'parish'. In 1841 a Cornish migrant recognised silver-lead ore in a rocky outcrop on a hillside near Adelaide, the fledgling capital city of the colony of South Australia. Although relatively small in scale, the mining activity which followed the discovery was an important economic boost to the struggling colony. Many of the miners lived in the small community of Harrow which grew up around the Glen Osmond mines. The majority originally came from Cornwall and Devon. The village of Glen Osmond was established in the area near the Old Toll House, but expanded to the areas around the present Church. A local land owner was Osmond Gillies, the first Colonial Treasurer for the South Australian Company. Glen Osmond is named after him. In 1854 he gave land and stone for the erection of the church to be dedicated to St Saviour. 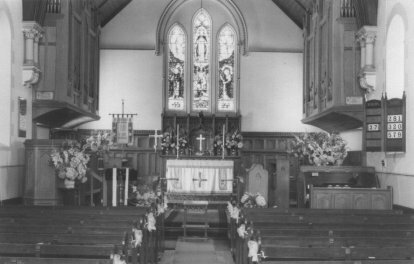 The congregation met for worship in local buildings for a number of years until the church building was finally completed in 1862. It was dedicated by Bishop Augustus Short. The discovery of copper at Burra and the Victorian gold rush of the 1850s saw many miners leave Glen Osmond. The community remained largely rural in nature until the years before the First World War. At the northern end of the parish a group of parishioners built a mission church at Knoxville (now Glenunga) in 1928. 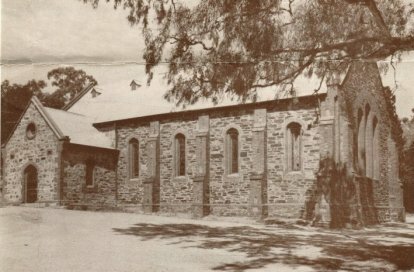 Later a bigger church was built nearby in Sydney Street, Glenunga. It was dedicated to St. Stephen in 1956 and became an independent parish. Many young families who grew up in Glenunga at that time, enjoyed worship there and a very warm community spirit. 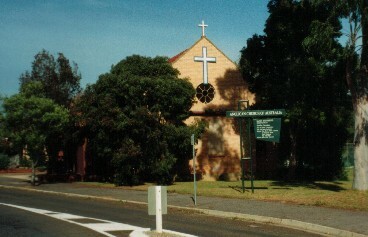 At Glen Osmond, urban sprawl and an increasing local population and congregation led to the need for a larger church. In 1966 the old church of St. Saviour's was demolished and the current church building was erected on the site. In 1999 the St. Stephen's church buildings were closed. The congregation joined with St. Saviour's again and parishioners meet together in a bond of friendship and worship. Some of the features of the old church and St. Stephen's church have been incorporated into our present church buildings. Our modern history is evident in the dynamic church life of our people.